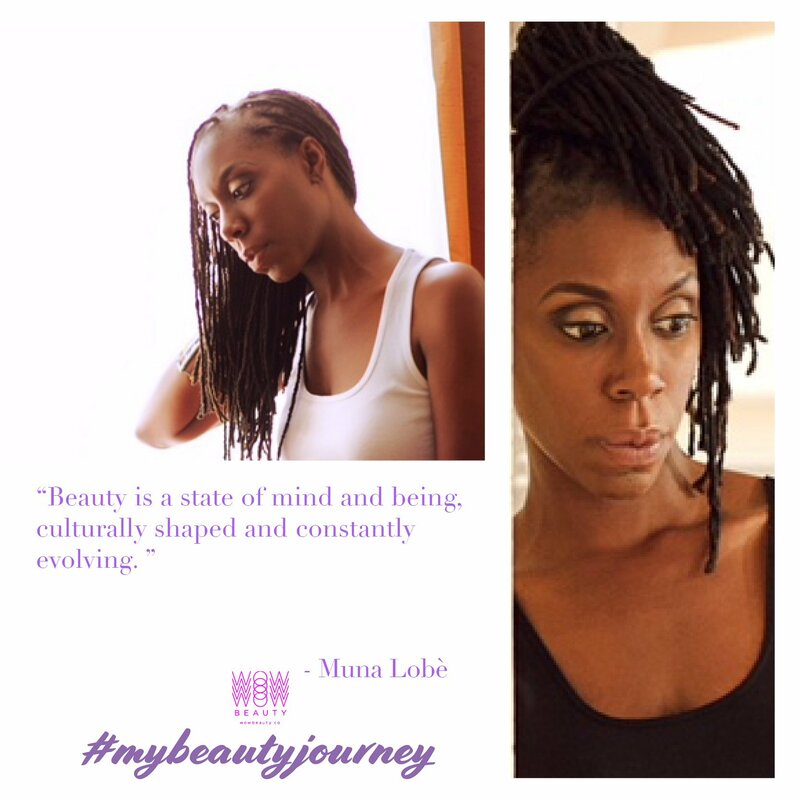 The Wow Beauty ‘My Beauty Journey’ is about women empowering women to ‘own their beauty’ by sharing their journey. Here’s Muna Lobè, founder of AYA CONSULTING as she talks about the process of 'becoming'. Becoming a woman has been a slow and gradual process and in some ways, I still feel as if I am becoming one. Although my mother is by far the greatest role model I’ve ever had – and who, I should specify, objectively personifies beauty, grace and femininity literally at all times, I will always be grateful to my father for having instilled in me from a tender age the belief that I was beautiful inside out. His constant and unwavering support and appreciation for who I have always been even as I was finding it out myself has clearly participated in my accepting myself and even more so in normalizing my sense of beauty and perhaps most importantly, in my own eyes. Having been raised in the West (Switzerland, France & the US), seeing girls and women who looked like me was rather uncommon but both of my parents excelled in ensuring that I accepted myself as I was. That is… absolutely and unapologetically unique. Now that I am a mother and that my body has gone through yet another mind-blowing transformation (our bodies as women are incredibly complex machines), I have become perhaps more self-conscious. My stomach has obviously been stretched and although it is back to its flat self, it is not toned and sculpted the way I would want it to be. My chest has become mono-functional – breastfeeding it is with a little one who only finds solace in burying her adorable head in it. And can I just say that the milky breasts of the first months do not last even when you keep breastfeeding past the one-year mark… What is that all about? Being aware of what my monthly beauty routine was “pre-baby” – my hair and nails done once to twice a month, my being a fierce and active self-care advocate and my being a free-spirited “serial dater”, it is interesting to see how it now seems that I have been off the scene for the past twenty months… caring for myself in the simplest ways… always prone to choosing my beauty and wellness products carefully but also relegating my beauty appointments to once in a while occurring. I am now back on a more disciplined schedule, as 1. I have rather recently realised I needed to feel whole in a very personal way again and 2. My daughter allows for more and much appreciated “me-time”. But being natural also very much defines who I am so focusing on building a happy life with the people I love and doing what I am most passionate about professionally remains my number one goals. So my beauty routine really focuses on cleansing my face, exfoliating and nourishing my body with mostly Shea, Cocoa or Coconut/ Argan oil-based products and resting as much as one allows with a teething little one! When I look at my daughter and see how absolutely stunning she is, all I wish is for her to see herself as I see her – beautiful in her wholeness. It is my intent to guide her through this life by (amongst other things) ensuring and reinforcing positive images of well-rounded women whose contributions to the world are exemplary. And of course, I have to lead by example because I am the woman she sees first and every day. Beauty is a state of mind and being, culturally shaped and constantly evolving.